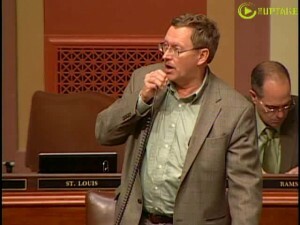 A bill that opponents say “puts the thumb on the scale” for management passed the Minnesota State House on Tuesday. Supporters say the bill prevents “automatic raises” for public employees after a union contract expires and while the next contract is being negotiated. The House included a Senate provision that exempts law enforcement and fire fighters from the restriction. Why is Senator Mike Parry angry when people laugh? Watch the video to find out why. Minnesota Republicans detailed their proposal to cut $2 billion in taxes and Democrats talked about who stands to be hurt by the resulting budget cuts.